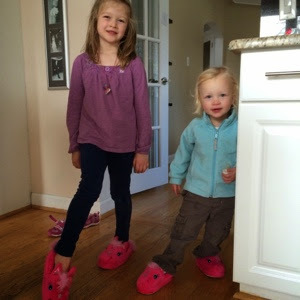 These fuzzy Stride Rite kid's slippers are a big hit with the granddaughters. 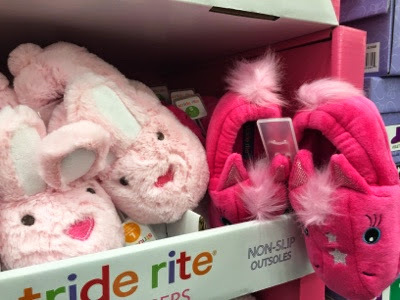 Currently, $9.99 at Nashville Costco, the slippers are on sale for $3.00 off from November 21 until November 26. 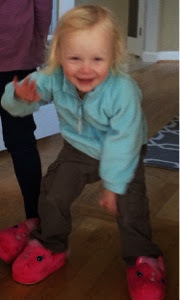 Emmie is especially happy with them. 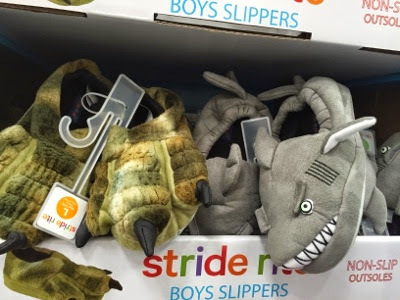 Nashville Costco has four styles: sweet bunny rabbit, bright pink horse, alligator claws, and shark. No comment on the gender stereotyping. My new realization is that Costco membership has an underappreciated benefit -the ability to limit making decisions. Decision fatigue can be just as exhausting as physical fatigue and sometimes worse. Since I read about the study in Israel showing judges made better decisions earlier in the day, I've become more and more aware of how exhausting the act of choosing can be. I can feel it, if I spend too long shopping I start to loose focus the same way I can feel my muscles cramping if I spend too long standing. With Costco, I no longer have to choose between five types of Almond Butter, no longer have to search five dates to find the newest milk - one choice. Shopping at Costco is mentally restful.